How do you know if your website is running without constantly looking at it? You can keep hitting the "Refresh" button on your browser, but don't you have better things to do? We have just the tool for you at Content Site Monitor. We monitor your website for you at regular intervals and send you alert email when there is a problem. 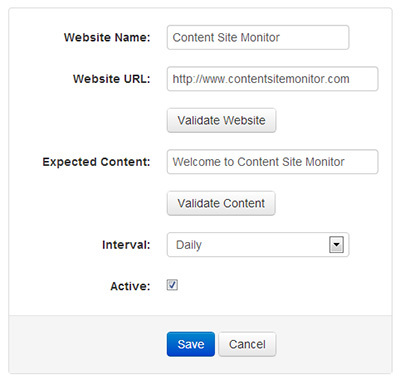 What is so special about Content Site Monitor? We don't just monitor your site to make sure that it is up and running, we also check for specific words or contents. Content checking allows you to specify strings or phrases that you expect to see when you visit your website. For example, if you expect to see "thingamajig" on your page, you can set up our monitoring service to look for the word "thingamajig". If the monitoring service does not see the word that you specified, it will send you an alert. Why do you need content checking? Content checking is important because it ensures that your website is alive and it is not defaced by hackers. 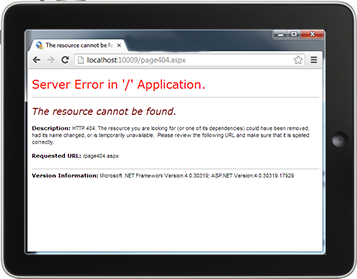 You can have a defaced website that is alive and a regular site monitoring service will not be able to detect that. Only monitoring services that check for specific content can detect that a site has been defaced. Very easy! You just need to provie a name for your website (so that you can identify which website you are monitoring), the URL (can be http or https), your expected string, and the interval. Besides monitoring your own websites, you can also use Content Site Monitor to monitor other people's websites. If you are an affiliate marketer, you can use it as an affiliate link checker. If you exchange links with other website owners, you can keep them honest by using it as a backlink checker. You can monitor up to 3 websites for free! You just need to show us some love by linking back to us. If you have more than 3 websites to monitor, go with the paid plan.